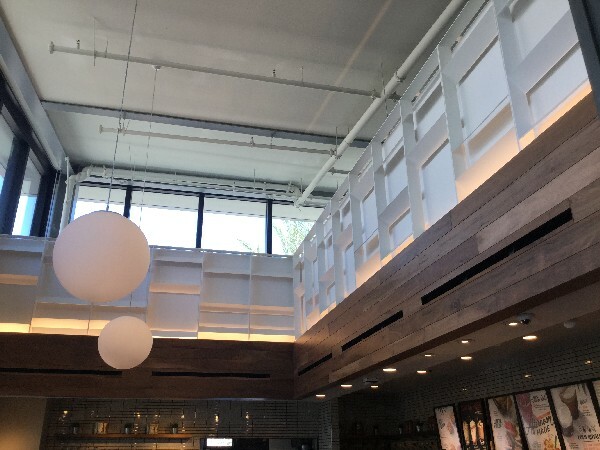 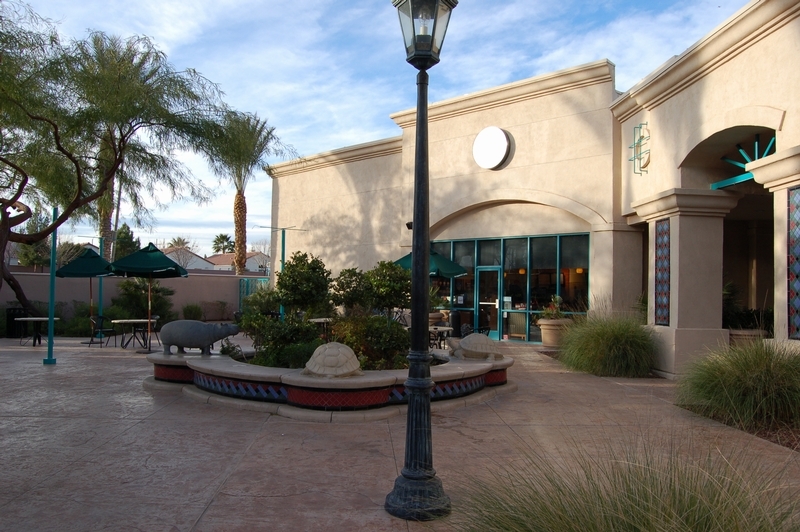 This relocation features some of the coolest light fixtures that you will see at any store! 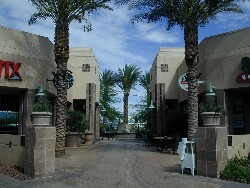 I almost confused this for a licensed location, but thankfully I discovered my error, because this store is beautiful! 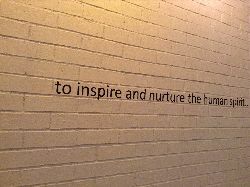 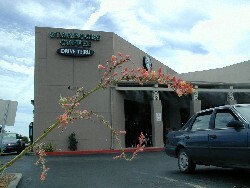 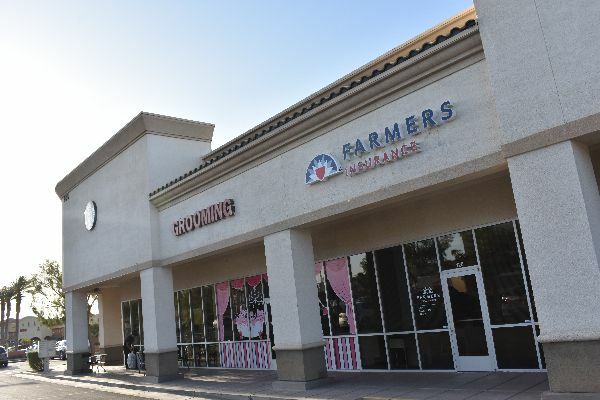 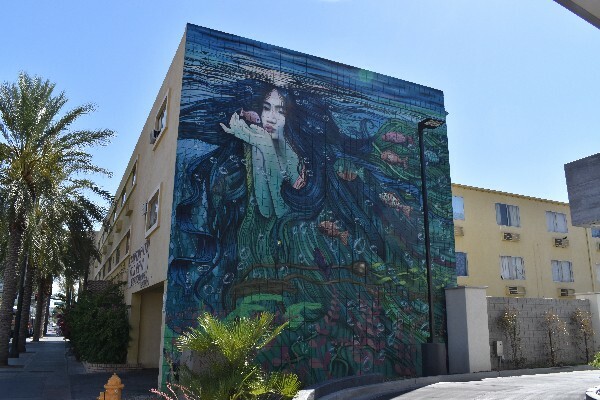 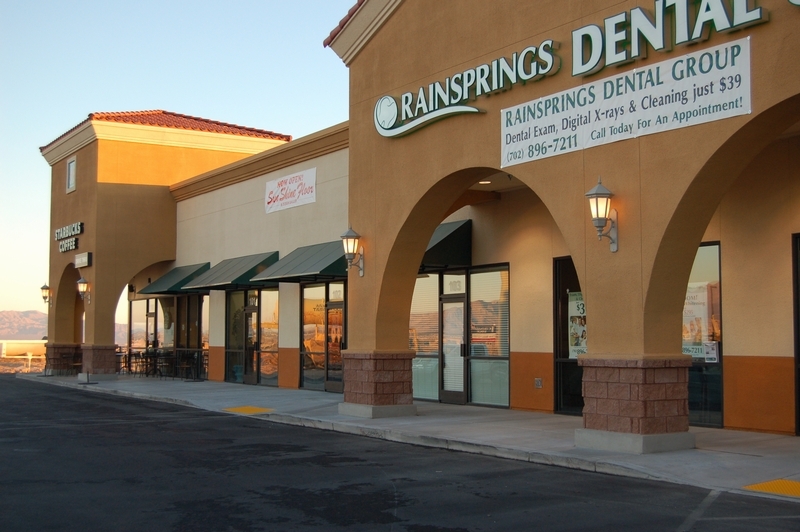 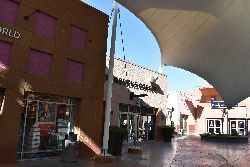 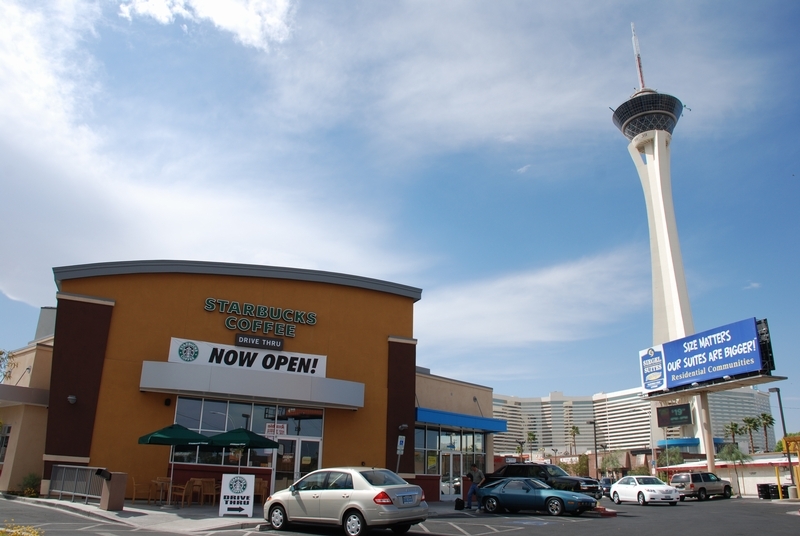 This store, one of just a few downtown, is one of the most beautiful in all of Las Vegas! 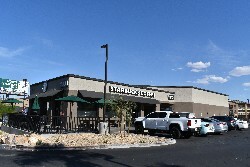 I wish I would have hit this store first, because I will probably never get a chance retake this photograph without the cars in front of the store. 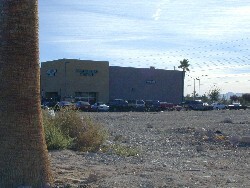 By the time I next visit Vegas, I expect shops to have been erected on that lot, as Las Vegas continues to expand and expand. 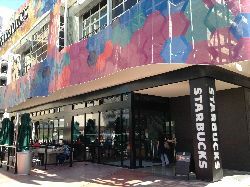 This relocation benefits from a design that just reaches out and grabs you, highlighted but the unusual stylised neon sign on the facade. 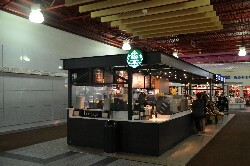 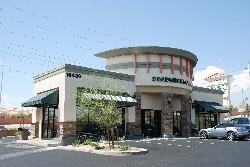 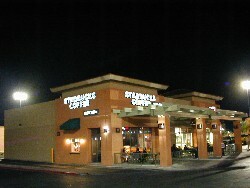 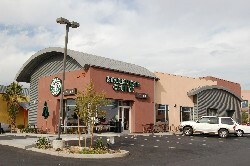 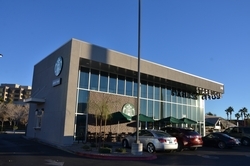 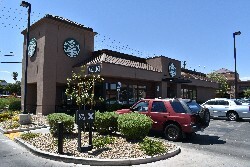 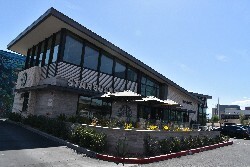 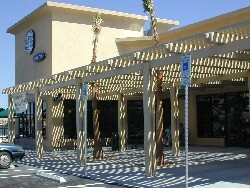 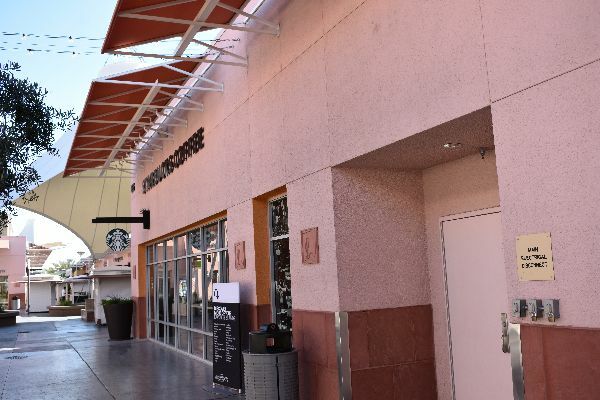 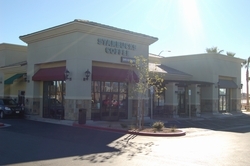 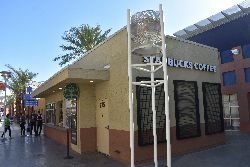 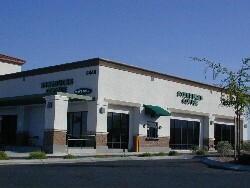 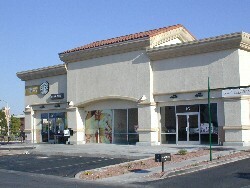 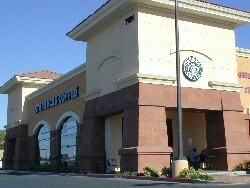 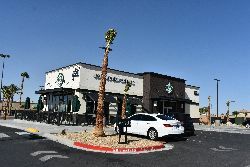 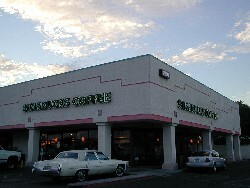 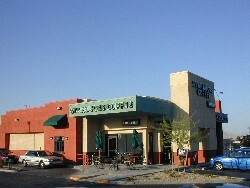 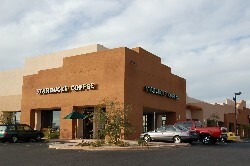 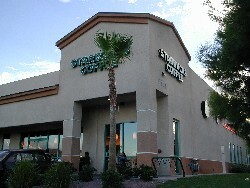 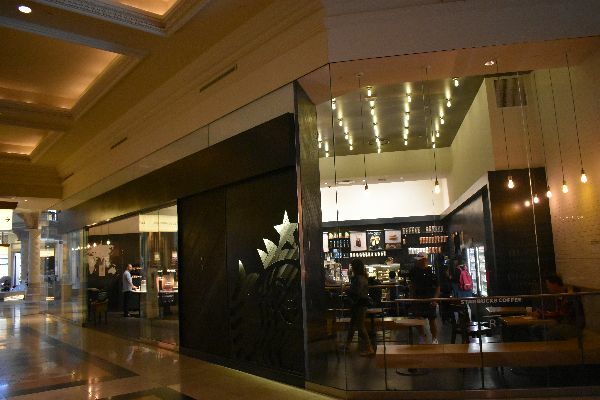 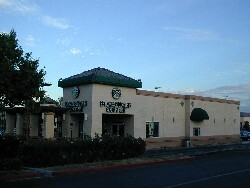 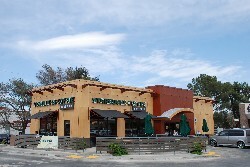 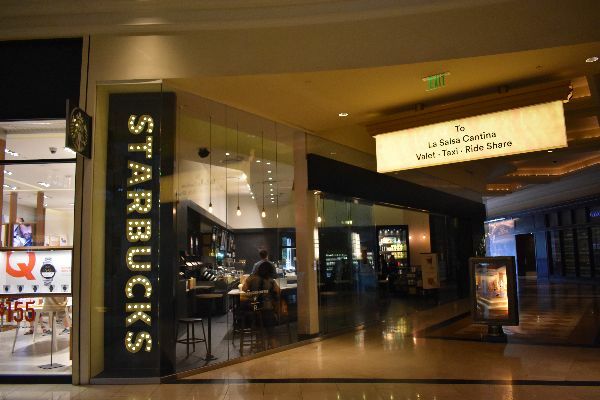 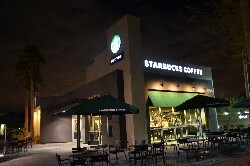 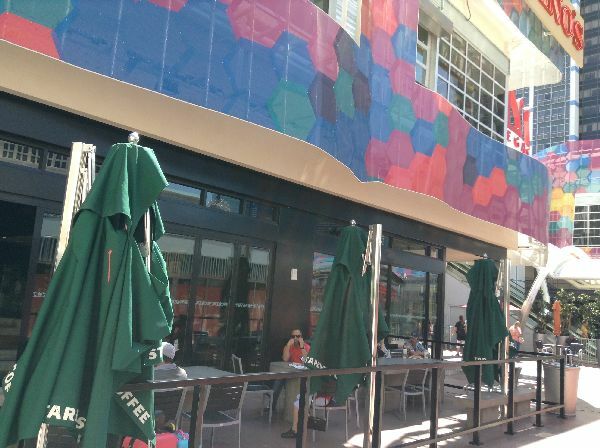 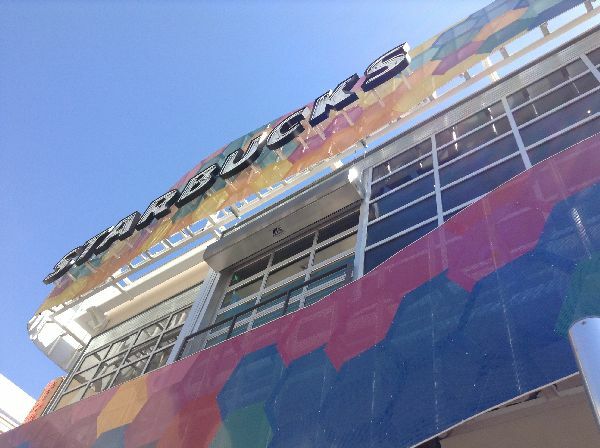 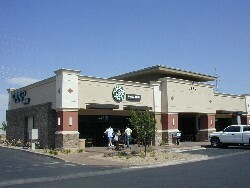 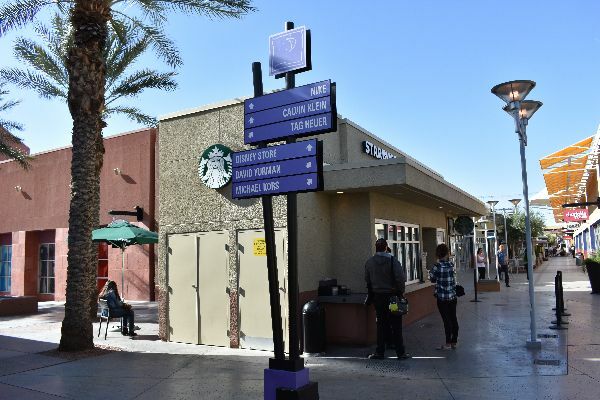 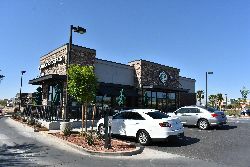 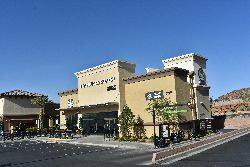 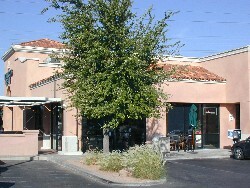 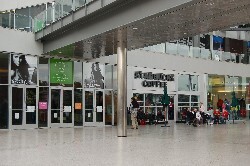 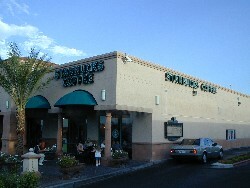 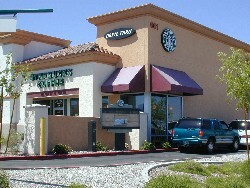 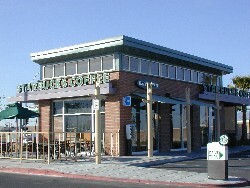 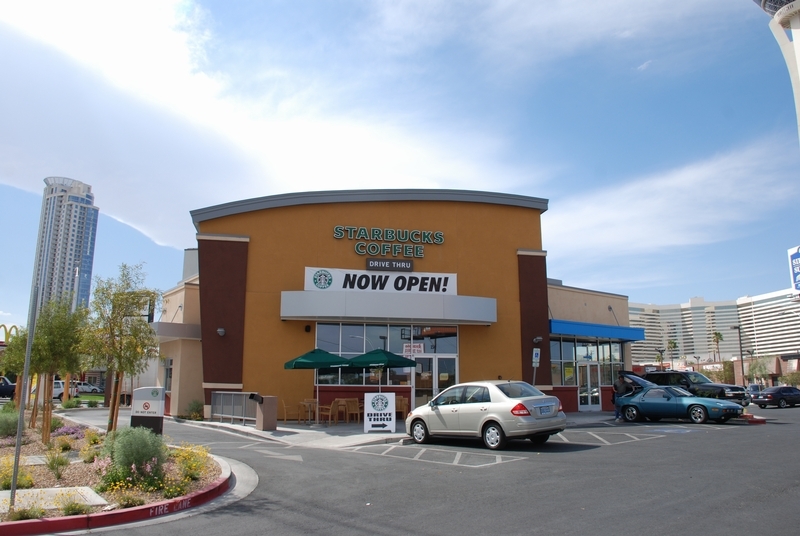 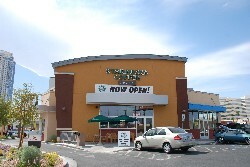 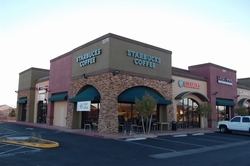 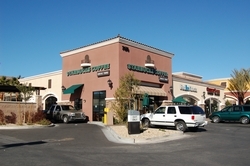 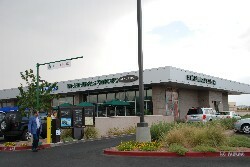 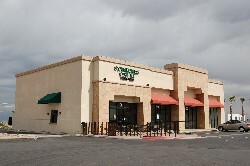 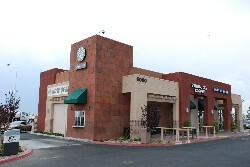 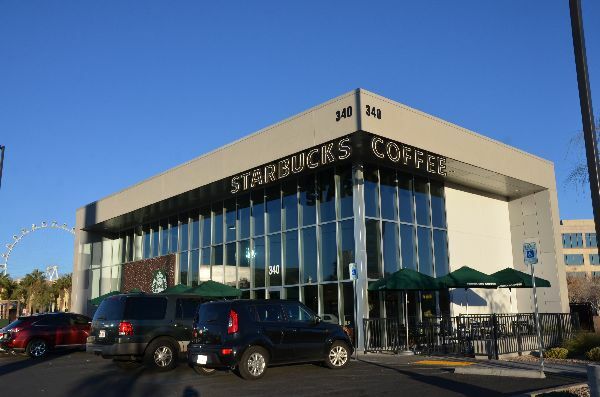 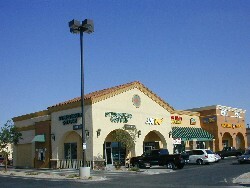 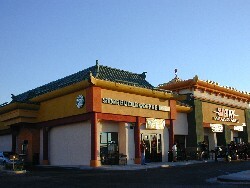 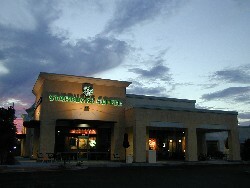 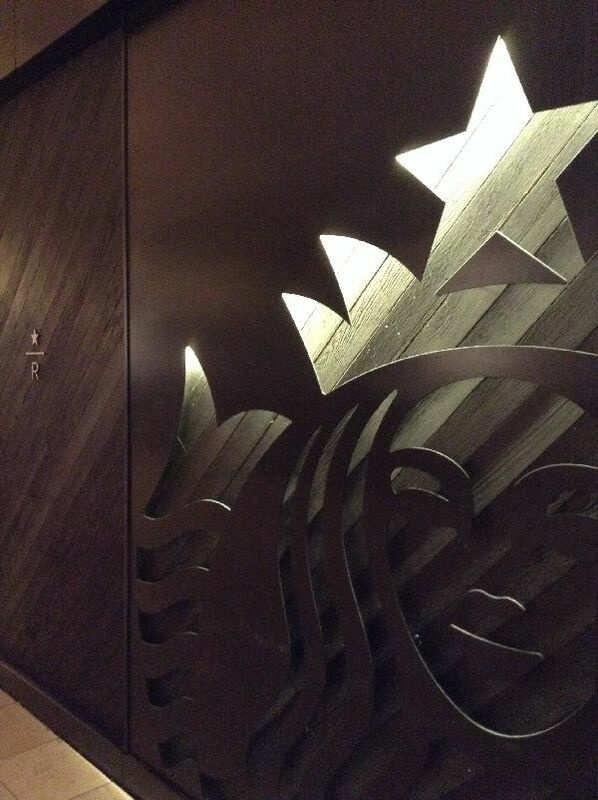 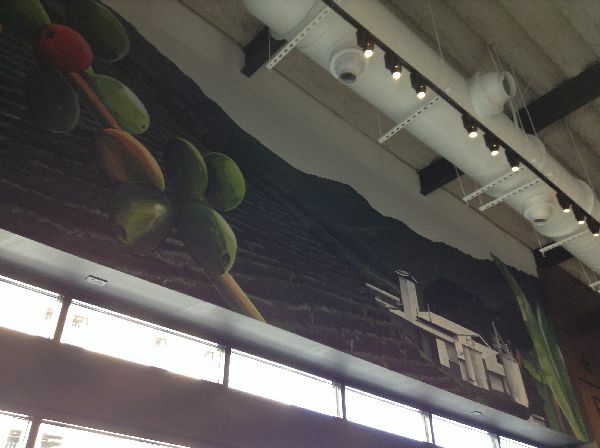 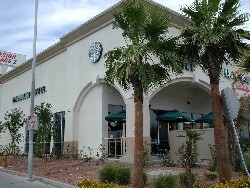 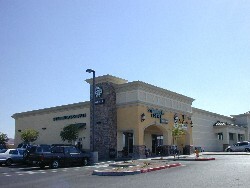 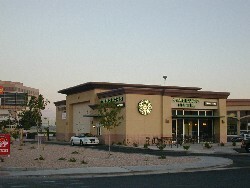 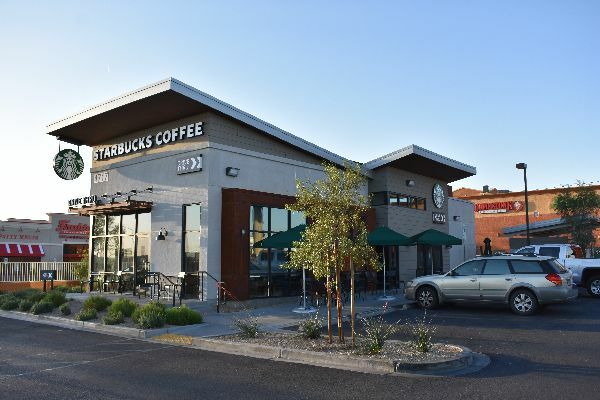 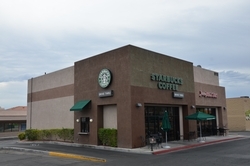 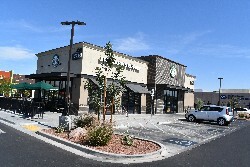 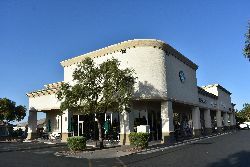 Beautiful store, and a rare instance of a company-owned Starbucks on the Las Vegas Strip! 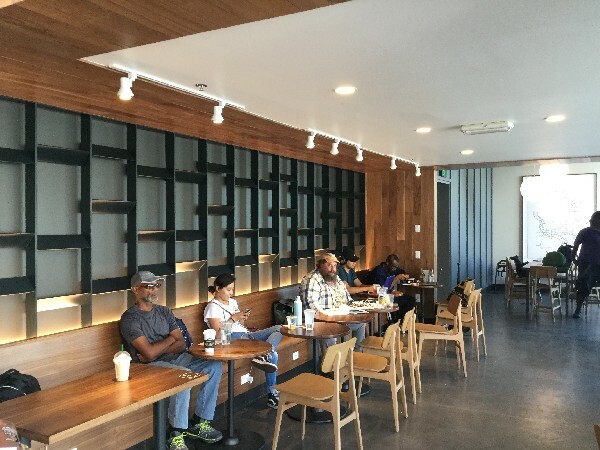 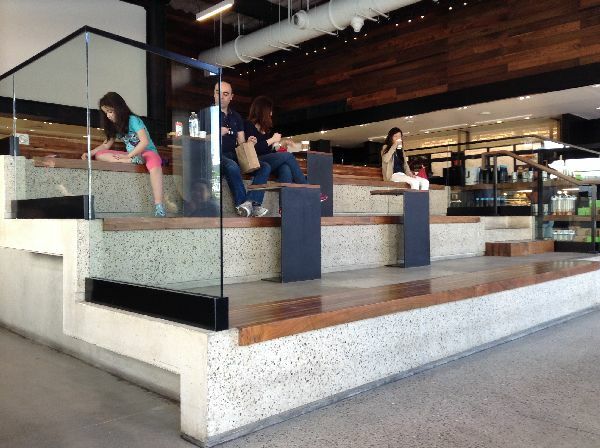 While this location does not have a proper conference room, it does have a large table in a back left corner of the store that is almost like an alcove, and affords some privacy if customers need it. 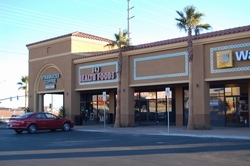 This store was open for nearly a DECADE AND A HALF without my visiting, because I mistakenly had it marked as licensed!!! 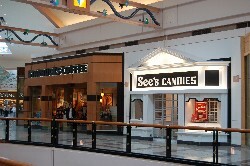 If they had not opened up a second location in the outlet mall, I would have never learned of my error!!! 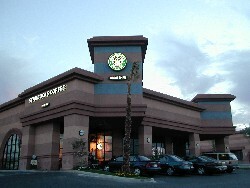 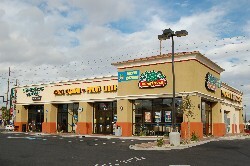 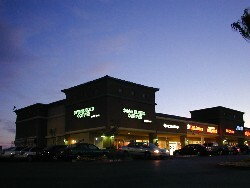 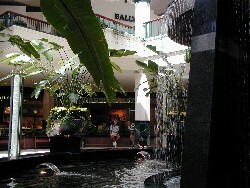 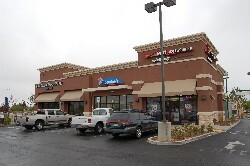 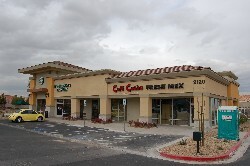 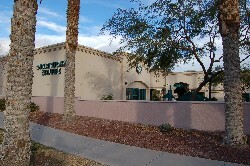 When I visited this store, it was the busiest in Las Vegas! 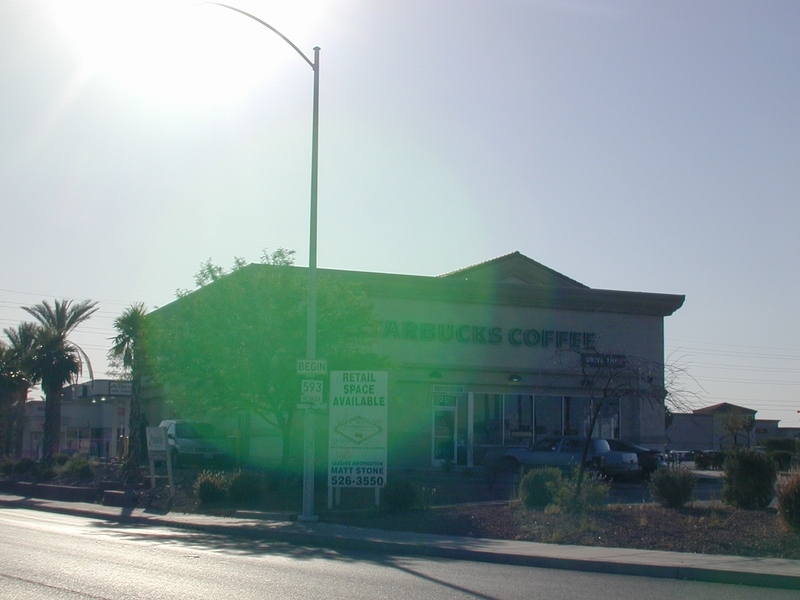 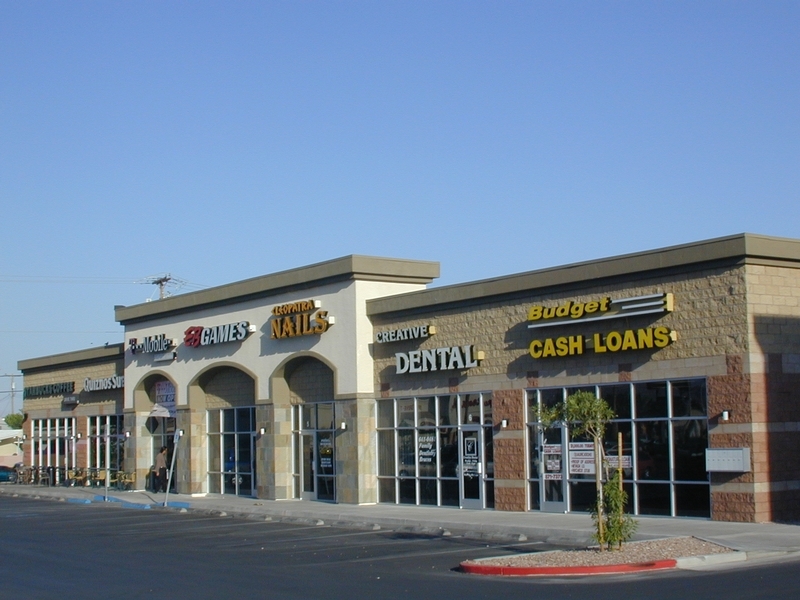 When I visited this lovely store back in '99, it was on the outskirts of the Las Vegas metroplex, in an area still under construction, which I termed "the boonies". 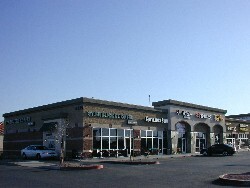 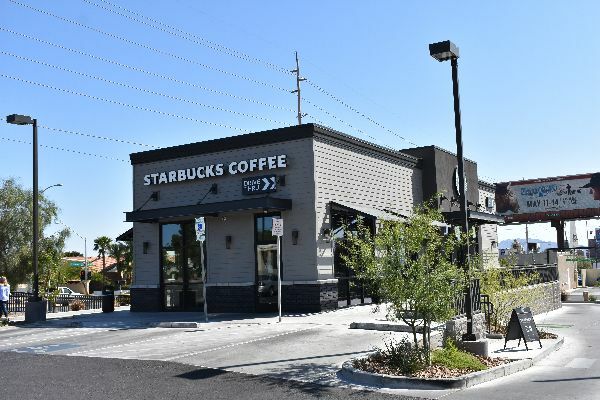 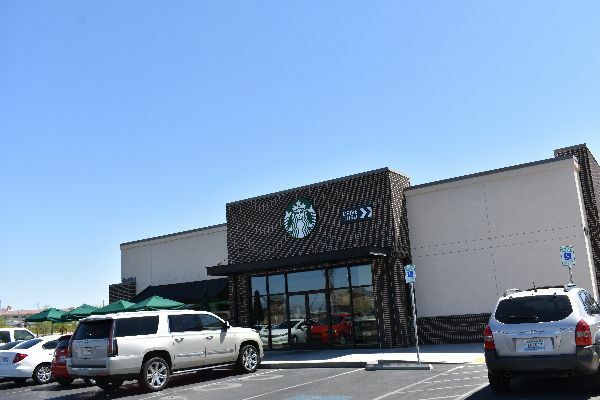 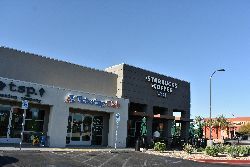 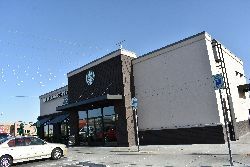 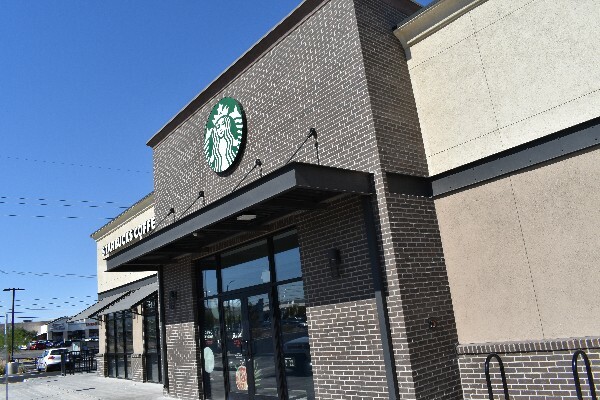 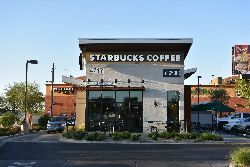 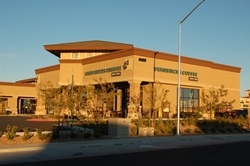 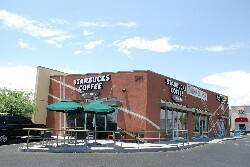 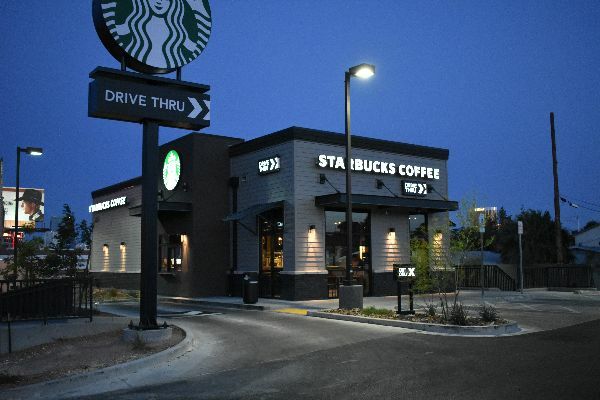 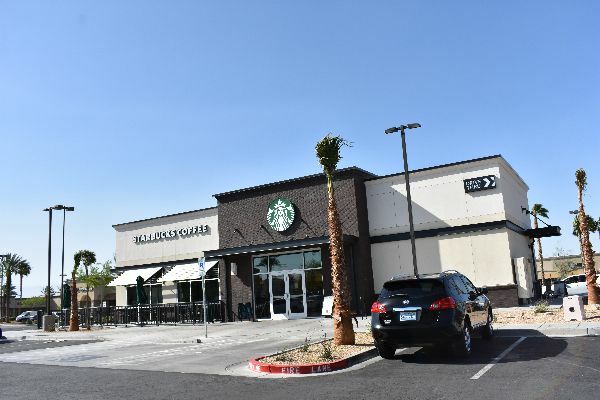 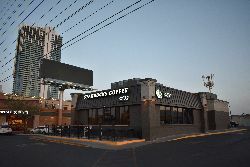 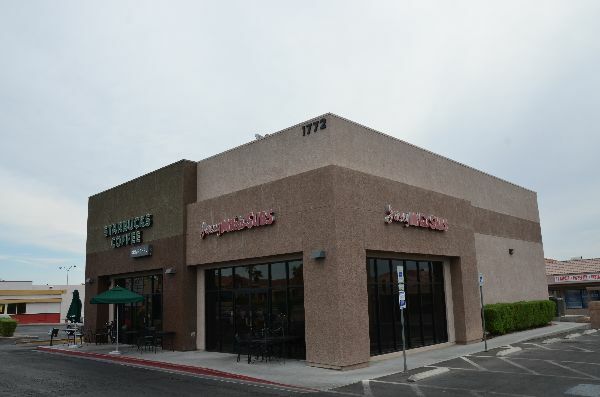 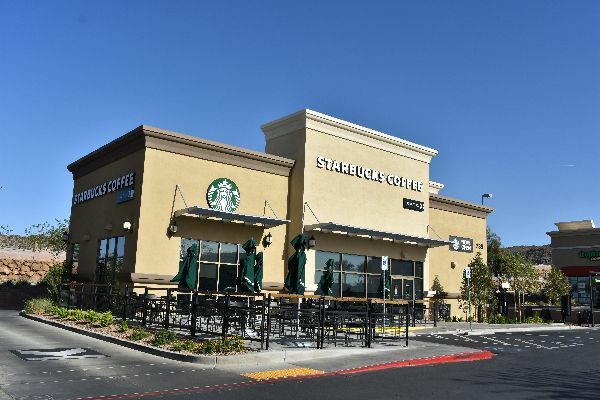 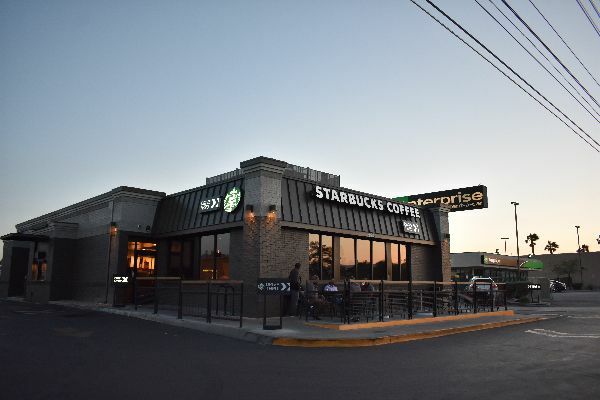 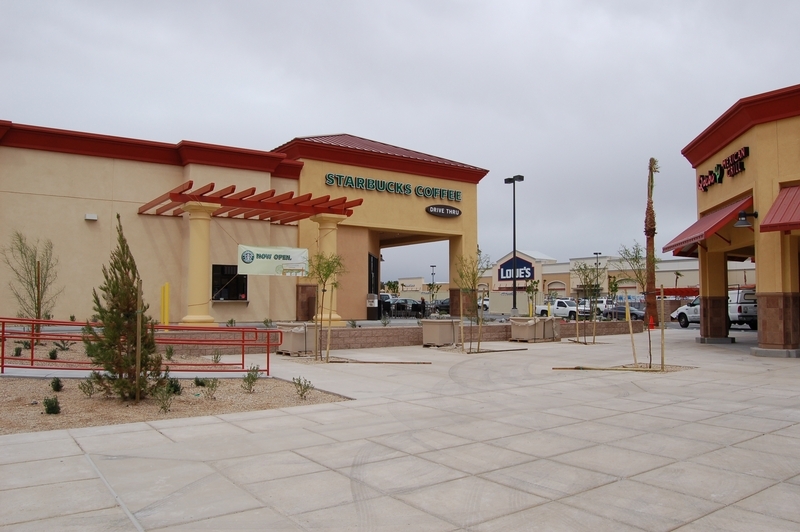 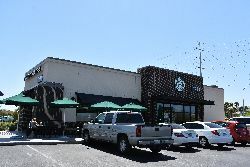 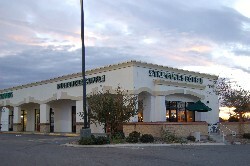 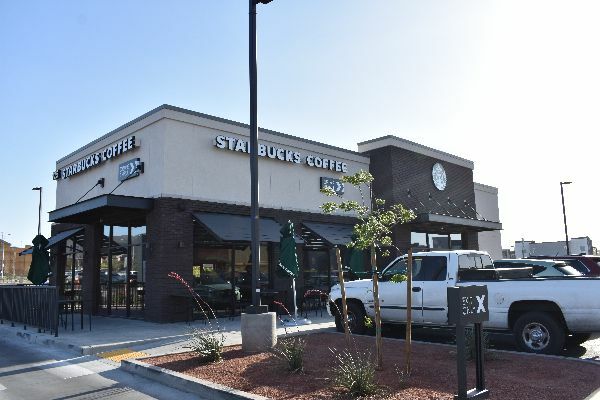 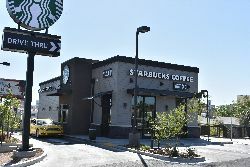 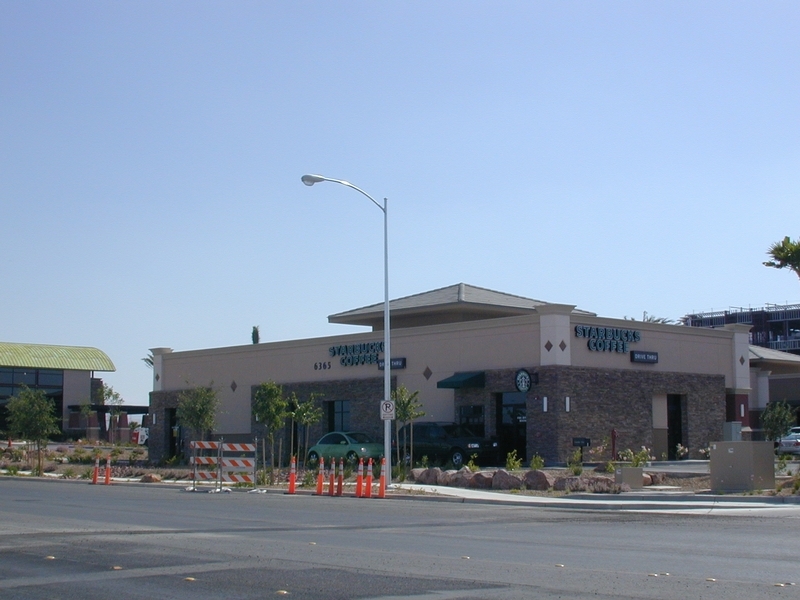 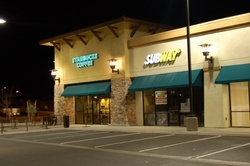 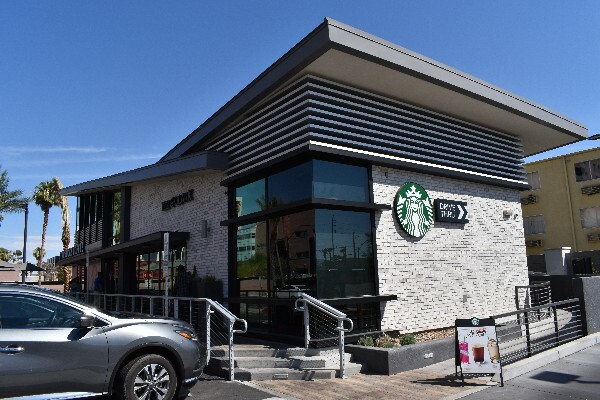 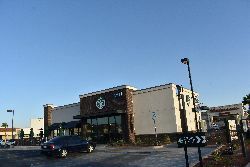 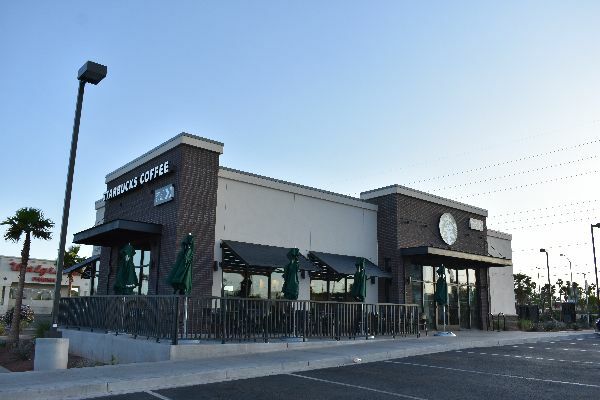 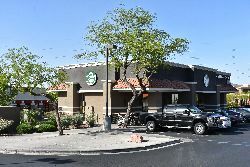 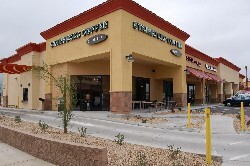 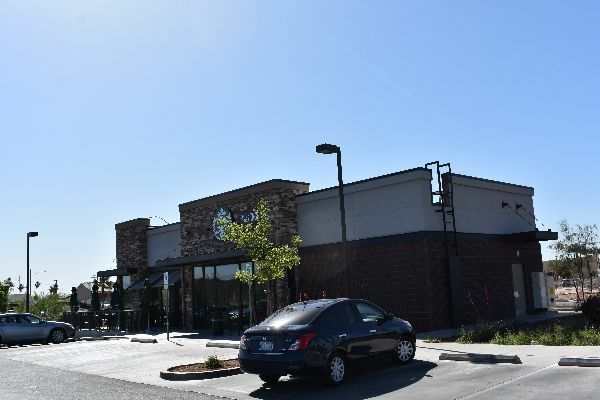 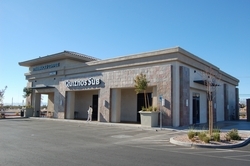 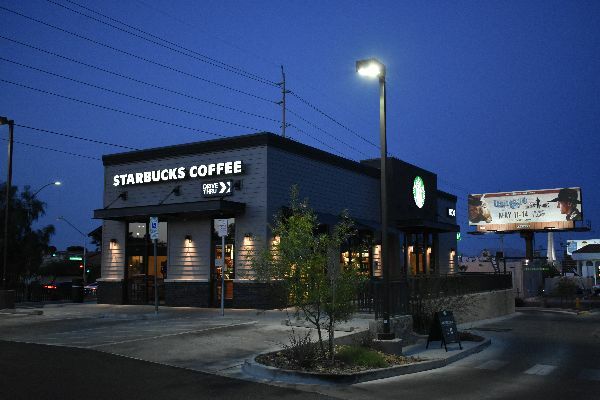 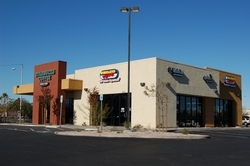 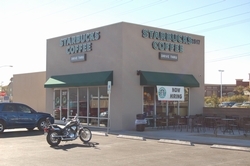 I have since been taken to task for that remark, and examination of a current map of Las Vegas Starbucks reveals that the metroplex has grown considerably in those years, and there are now plenty of stores even further out than this one! 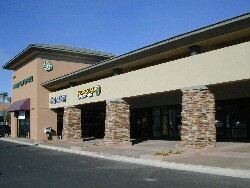 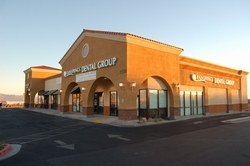 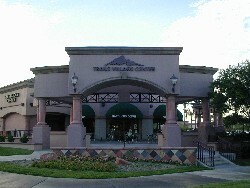 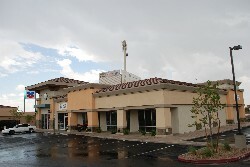 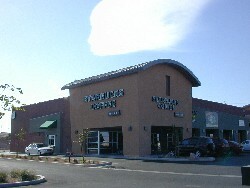 CLOSED - Horizon Ridge & Horizon Dr.